Home Reviews Windows 10 – Different and Better Than Windows 8 ? 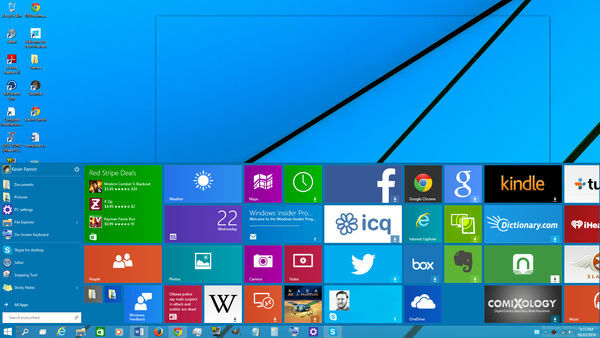 Windows 10 – Different and Better Than Windows 8 ? We have had eight months to test Microsoft’s new operating system, after the first new build of the Windows Insider that rolled out at the end of October. Windows 10 will be based on the previous operating system, but it will have an improved user interface, very different from the 2012 version. Microsoft 10 won’t run only on 32 and 64bit computers, as it will be compatible with the ARM platform from smartphones and tablets, as well. Windows 10 will be part of the Windows NT family and all of the universal applications will run on all of the supported devices. There is more about this new operating system below. Users had early access to the new operating system through the Windows Insider program and they were able to test Windows 10 during its phases of development. 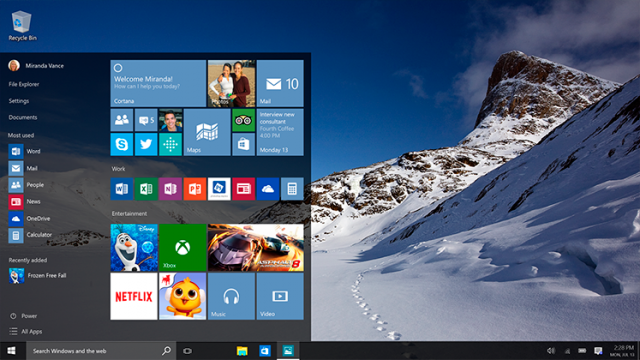 Windows 10 will be officially released on July 29, the latest build was 10240, which rolled out on July 15. This is considered to be the RTM (Release to Manufacturing) version, the final one that will represent Windows 10, although the company hasn’t confirmed this rumor yet. If this is true, Windows will release only updates for the members of the Windows Insider program. If you’ve purchased a license for Windows 7, 8 or 8.1, then you will be able to install Windows 10 for free. If your device is running on Windows 7, before upgrading to Windows 10, you must make sure that your computer/laptop has a processor clocked at 1GHz or higher, it has 1GB of RAM for the 32bit edition, or 2GB of RAM for the 64bit edition, the hard disk has at least 16GB of free space and if the device has Microsoft DirectX 9 graphics with WDDM driver. The only problem is that after upgrading to Windows 10, you will only be able to use it for free for one year, then you will need to pay for the license, which is $119 for the Windows 10 Home version and $199 for the Windows 10 Pro version. To make the big step from Windows 7 or 8 to 10, you will have to click on the icon on your desktop, which will launch a window where you will reserve your place to get the upgrade for free. But, if you downloaded a pirated copy of Windows, you will need to buy the Windows 10 from the Windows Store. Unfortunately, those who bought a device running on Windows RT will need to buy a fresh copy of Windows 10 for the price stated above. The good news is that if you’re not a native English speaker, this operating system will be available in 111 languages. Also, Windows 10 will come in seven versions: Home, Enterprise, Professional, IoT, Mobile, Mobile Enterprise and Education. Windows 8’s interface was something that many users complained about because as they were shocked when they noticed that the Start menu has been removed. Fortunately, Microsoft brought it back in Windows 10, but under a different design. Also, the language seems refined, featuring smaller window border and the Task houses pretty much all of the key functions. The Action Center contains the former Charms functions, when you launch it, you’ll see a vertical bar on the right side of the screen, matching the Notifications setup from Windows Phone. The developers worked very hard on the Action Center, to make it powerful, and we could see its evolution since the early 2015 versions of the new operating system. Also, at the bottom of the Action Center you will notice a bunch of individual settings such as Bluetooth, Wi-Fi or Location, from where you can turn them on and off, just like in Android and iOS. If you enjoy the experience of working on a tablet, simply switch into Tablet mode, and if your are a fan of OneNote (a digital notebook for to-do lists etc. ), then can have a Note feature to instantly launch it. One of the new features that will allow you to connect to Bluetooth speakers, while Quiet hours will stop notifications from bothering you when you want to sleep or do something else and don’t want to be disturbed. You can choose which application will send you notifications, as well as which Quick Action you want to appear in the Action Center. You will see notifications popping up in the bottom-right and to close them, you will either swipe them away on touch or close them with your mouse by clicking the X. The Start menu can be resized by dragging the sides, and it contains all the applications in alphabetical order, as well as controls for shutting down your PC or to restart it. The taskbar wasn’t changed much, but when you open an application, you will notice a colored bar below it. Microsoft has worked on a new browser as well, which is called Edge (it was codenamed Project Spartan) and has a similar logo to Internet Explorer.